Details are emerging of the forthcoming new Beastie Boys, the eighth long-player from the middle-aged rap collective. 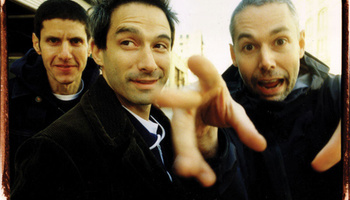 Speaking to the BBC, Adam Yauch said that the new album would be "strange" and "bizarre" and made from "a combination of playing and sampling stuff as we're playing, and also sampling pretty obscure records." Radical! New! Direction! The record will be possibly be called Tadlock's Glasses after a former Beasties tour driver who was given a pair of glasses by Elvis Presley. Speaking about the recording, Yauch added "We're tweaking some mixes and we're going to master it in the next couple of weeks. There are a lot of songs on the record and there are a lot of short songs and they kind of all run into each other."